I am a guy who's profession revolves entirely around all things grass, and with spring soon to be upon us I'm here to offer advice regarding lawn care and whatever else you want to ask me . I am in Turf Management AMA! I am a guy who's entire profession and passion in life is turfgrass and turf management. Turf management is a huge industry worldwide and a billion dollar industry down here in the state of Texas alone, now you're probably thinking "why is it such a big deal? It's just grass" well many major universities in the US have huge turf management programs and many of our pro sports, golf courses, parks, residential, commercial, and government properties all like to have natural turf. We are the people that ensure these places remain beautiful and that the turf stays looking good and benefiting the environment. Now a little about me, After destroying my back in the ROTC in college I wandered aimlessly through a major until I realized after taking a recreational turfs class what I wanted to do with my life. 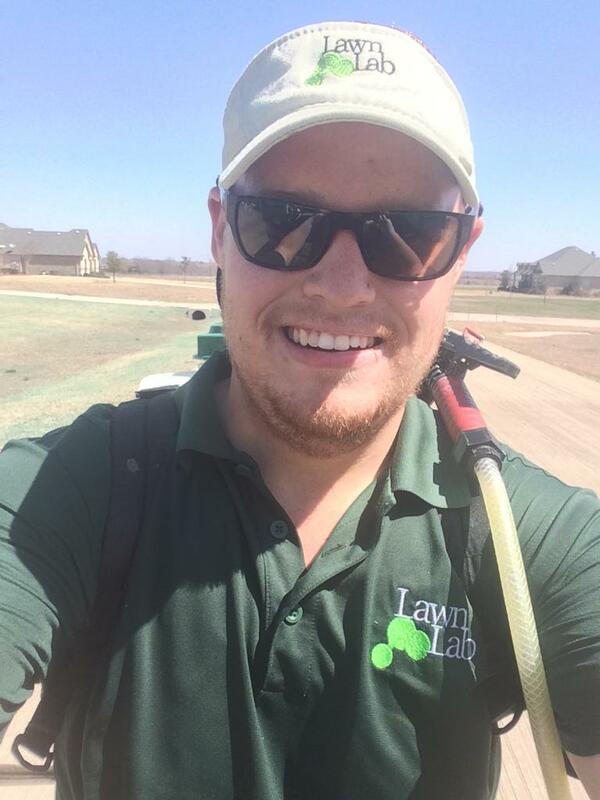 I ended up getting a job as a student worker at one of the research labs on campus, I really enjoyed the work and decided to change my major to turfgrass sciences. Sadly I was forced to take some time off from my undergrad degree due to some financial issues, but luckily I found an amazing job as a consultant for a small turf management company in the Dallas area, (my boss is an awesome guy and he's promised to get me back to school by the fall, so I am pretty pumped about that)we serve about 2300 clients and are always growing. I really love my job and the fact I get to work outside all day. The future plan is to get on a TPC level course or go into research and development for the turf industry, I really want to make safer sustainable herbicides and develop turfs that are even more drought tolerant than we already have. I deal with warm season turfgrasses and predominately Bermuda grass lawns. However I will try to answer anything to the best of my ability. If you do want to get even more answers I suggest checking out /r/lawncare, and if you are also involved in the turf industry I recommend /r/turfmanagement , both great subs and both extremely helpful. Alright guys, feel free to ask me anything! Edit: If I don't immediately respond don't worry, currently in the field but I will try and answer everyone. what's the best and cheapest way to replace my crap grass with some of that nice grass? i suppose what meant was, is it worth trying myself to re-turf my lawn or should i just leave it to the professionals? Have you ever been tempted to race with a golf club or a lawn tractor? What is the single worst turf job you had to do? Treating a correctional facility that has about 5 acres worth of treated turf. So I had to walk almost every square foot of that. It took me 8 hours. As a kid did you always dream of growing up to be a..umm turf manager? Does the smell of fresh cut grass ever get any less satisfying? So I have a couple of spots in my backyard that every year I till up and reseed in spring and every year it struggles then dies. I've dug up a bit of the dirt and added new soil and used the straw mat to stuff that hold the seeds down. I've got 2 female dogs but they don't pee there and they don't kill a lot of grass Anyhow. It's at the top of my very slightly sloped yard but at the edge of our concrete patio where after it rains it gets pretty well saturated. What's the climate and general location ?